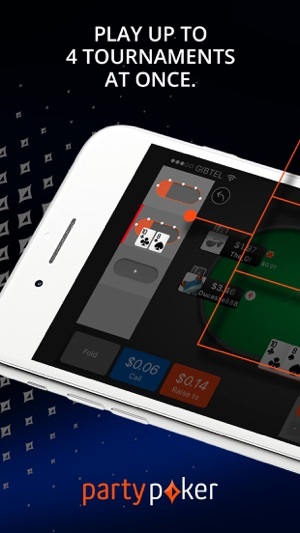 Play poker whenever and wherever you want with the partypoker app! You can easily pull up a seat at the best tables in town, and join thousands of other players on the virtual felt. 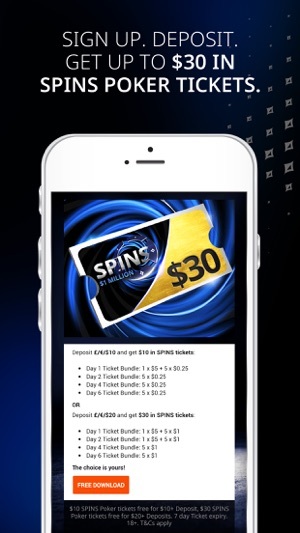 Swipe, flick and tap between free to play games or experience the thrill of wagering real money on your mobile. Join tournaments, hit cash tables or feel the speed of our fast-paced new game “SPINS”, where you could become a millionaire in minutes. No-limit Texas Hold’em isn’t the only game on offer – you can play anything from Omaha to Blackjack, and much more. Games are running 24/7 and there’s always a seat open! • SPINS – Win up to $1 million in minutes, with our new three-handed poker game. • Multi-Table Tournaments – Over $2.5 million guaranteed weekly across various online tournaments. • Sit & Go's –Hundreds of Texas Hold’em tables, with buy-ins that for all bankrolls. • Cash Games –Play as much as you like, for as long as you like, but cash in your winning chips at the touch of a button. • partypoker LIVE – Our live tour has been making millionaires all around the world! Qualify online from just $0.01 and compete for prizepools as high as £6 million. 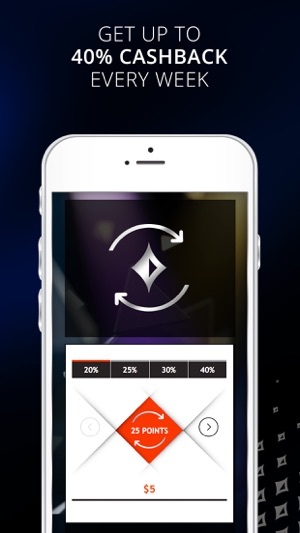 • fastforward poker – Action packed game with no waiting around! Fold your hand and you’ll instantly be presented with new cards at a different table. • Casino – Play classic casino games online including roulette, blackjack, live dealer games! You can also wager on “Big One Jackpots” where you can become a millionaire in a single spin! • Account – Check player, table and balance info and enjoy quick access to our cashier! SPINS Poker are three-handed Sit & Go tournaments where our multiplier randomly determines the size of the prizepool before the first card is dealt. A multiplier of between 2 and 240,000 can be applied to the total prizepool. So you could turn a $5 Buy-in into a massive $1.2M prizepool in our $1M SPINS game. There is a SPINS Poker game to suit everyone! Play poker cash games for as long as you like, whenever you like. Deal yourself into the action and download the partypoker app today. Never miss a hand again! Join thousands online in the partypoker community by taking control of the way you want to play. Featuring both Texas Hold ‘em and Omaha poker games, all the poker action you want comes direct your phone. 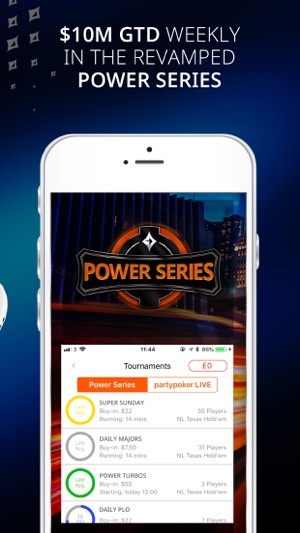 Integrating brand new features with customised preferences, partypoker gives you the ultimate poker app for iPhone, iPad and iPod Touch. Deposit £/€/$10 and get $10 in SPINS Poker tickets or deposit £/€/$20 and get $30 in SPINS Poker tickets. The game is changing at partypoker. At partypoker, we are always updating our app to deliver the best online poker experience. Notably, the latest update improves the display of the Progressive Knockout bounty balance on each players’ head, as well as ensuring support for our new Mix-Max tournaments. Minor issues have also been ironed out, making gameplay ultra-smooth. Another scam site, expect to see regular collusion, expect that any time me you have a pocket pair, their is at least 1 other higher pocket pair in play, if you have aa, expect the board to be 3 or 4 to a straight or flush, and yep, the guy that called the all in out of position , did indeed somehow have a feeling his 10-5 off was good, if you have a draw, the other guy has you beat, you will get a card on the board that slightly improves your hand, this is just to get you to call, basically, expect all your doubts about online poker to be verified on this site, a total scam, variance (standard mask used to disguise all corrupt play on every online site) only applies to their stable of agents and spoon fed babysat house players, although we are all aware of variance, it does not cover losing 90% of the time when you are a 90% favourite, yes it’s possible, but is highly, highly improbable on every real table, ( on a par with odds of a winning lottery ticket) yet is rampant on this site, stay away, a total Ponzi scheme and blatant cheating and manipulation of cards and rigged games. You will be disgusted by the constant coolers, bad beats and staggering “vision” of certain house players who can play any dogshit yet unbelievably hit constantly and consistently, completely against all poker strategy and quantum mathematics. In short, a total scam site. Don't waste your time! Pokerstars is superior in every way. Yes that's right 16 days I've been unable to play on this app on iPad, whenever it goes to post flop the table disappears and can't see flop, turn or river (you know the basic tenets of the game). Constant idle responses from the customer service team, fake promises of solutions and just an overall shambles, I know I'm not being difficult because I've played on many sites and apps and they never are down for more than a few hours at worst but 16days? Do you even have a technical team? They continually tell you thanks for your patience and understanding which is like a red flag to a bull. I lost tickets and yes they did compensate me with tournament dollars which I can't even put in to use because the app is still faulty. Sort it out!!! My only criticism would be that in a tournament, at the point of ‘waiting for players to rebut or add on’, a message pops up and blocks the middle of the screen so you can’t see the board (5 cards at the centre). Another time this happens is when you’ve got knocked out or the game finishes when you’re playing a ‘sit and go hero’ game, a large message pops up and covers the table so you can’t see what hand has won/lost or what the flop was. This doesn’t happen on the PC/Mac version so it shouldn’t happen on the app version. It would be better to move the message to the bottom of the screen.